producers, industrials and investors, which would accelerate the commercialization process and stimulate governments to define incentive policies.Today’s efforts focussing on building OTEC pilot plants of sufficient size is described as the right thing to do. It’s a way to establish an operational record of net power production and to prove that the economy of scale for large OTEC plants is justified. 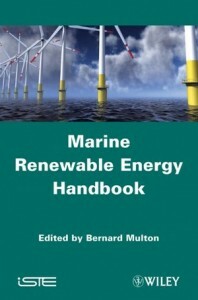 The book is positive about the contribution of marine energy in the future. In 2030, it’s expected to represent between 5 and 8% of the ‘mix’ of electricity production worldwide. Regarding OTEC’s share in the ‘mix’, the recent take off of OTEC activities is a promising development. The book summarizes some of the recent activities in the OTEC sector, with an emphasis on the activities at DCNS. 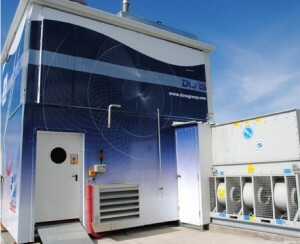 DCNS, a French naval defence and ship building company, entered into the field of Marine Renewable Energy, and particularly with OTEC in late 2008, and initiated several studies for offshore OTEC plants in French overseas territory (Martinique,Tahiti, La Reunion islands). Beginning of this year DCNS commissioned a land-based OTEC prototype, which is now operating in Saint Pierre, La Reunion, to test and optimize the different components of the cycle. DCNS’s choice is leaning towards an offshore OTEC pilot plant, 10-20 MW in capacity, according to the book.